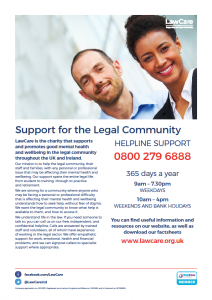 LawCare is the charity that supports and promotes good mental health and wellbeing in the legal community throughout the UK and Ireland. 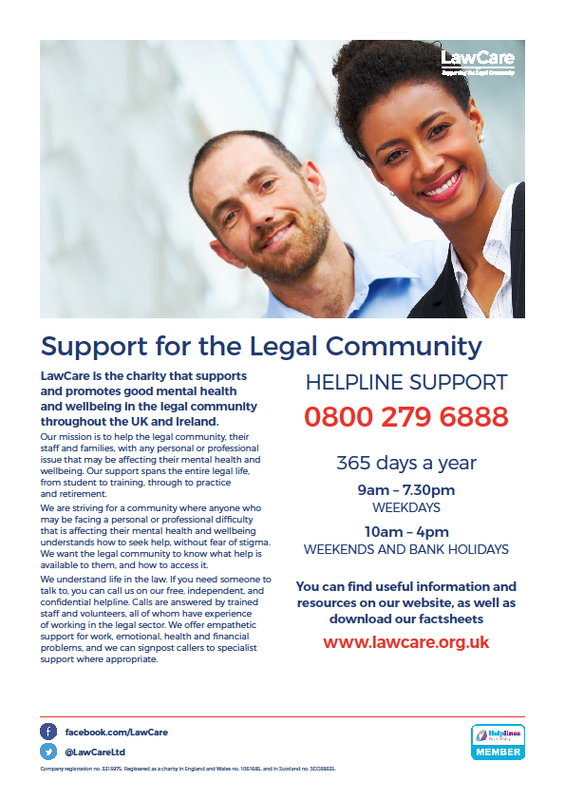 Our support spans the entire legal life, from student to training, through to practice and retirement. 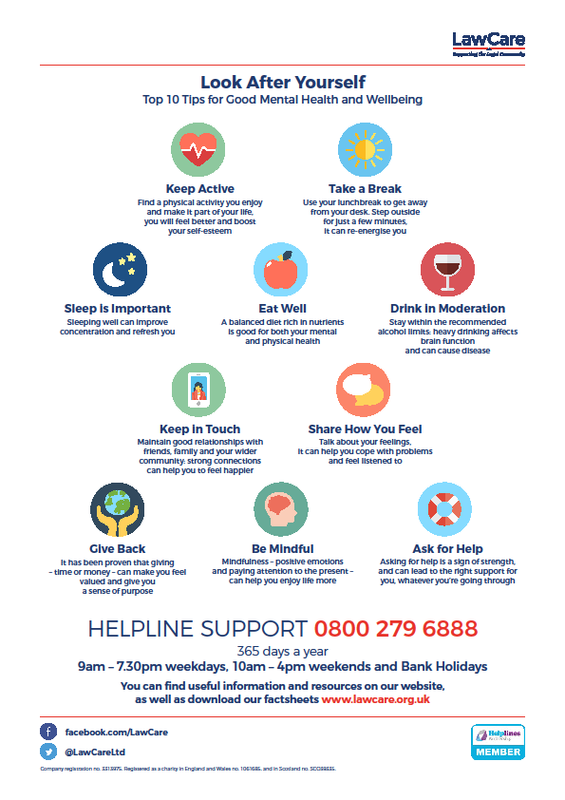 We are striving for a community where anyone who may be facing a personal or professional difficulty that is affecting their mental health and wellbeing understands how to seek help, without fear of stigma. We want the legal community to know what help is available to them, and how to access it. We understand life in the law. If people need someone to talk to, they can call us on our free, independent, and confidential helpline. 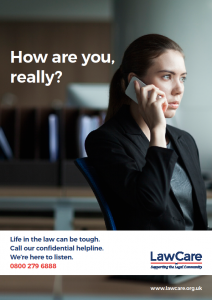 Calls are answered by trained staff and volunteers, all of whom have experience of working in the legal sector. 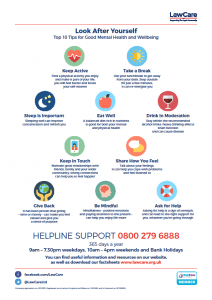 We offer empathetic support for work, emotional, health and financial problems, and we signpost callers to specialist support where appropriate.